3rd Rock Grid, a closed, commercial social grid known for its music scene, has stepped up with a fundraising call for another grid. 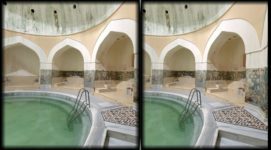 OSgrid has been down for almost a month after a failure of its asset storage hardware and there’s been little information from the grid administrators so far as to how the grid will recover — other than that the price tag could be as high as $4,600. The OSgrid outage reminded 3rd Rock Grid founder Terry Ford, also known as Butch Arnold in-world, of one difficult period in his life. His wife fell ill and died six years ago, in September of 2008. The grid went down for two weeks as Ford struggled to deal with the tragedy. Grids do compete with one another, for residents, for land renters, for volunteers and donations. But they can also come together for a common cause. 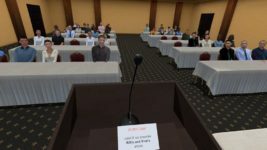 “I believe we as a community need to support each other and not look at each other as competitors as the truth is that we are all a very crucial piece to this puzzle and the future growth of OpenSim,” Ford said. 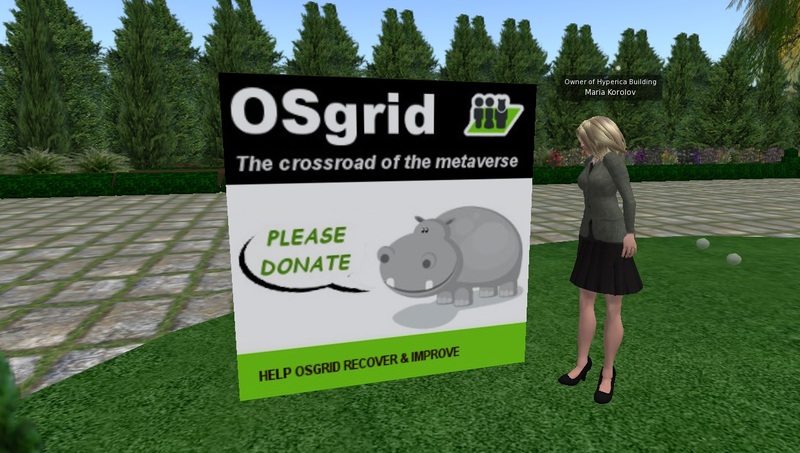 3rd Rock Grid has already donated $250 to OSgrid, and urges other grids, vendors, and OpenSim users to do the same. 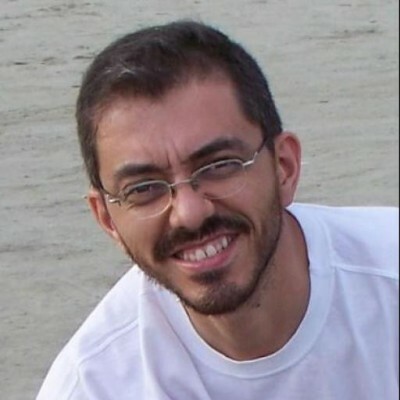 David Daeschler, co-founder and CTO of the most-visited InWorldz grid, has also offered his help. “If you could use any assistance at all don’t hesitate to give me a shout,” he said in a Tweet shortly after OSgrid first went down. Daschler is also known as Tranquillity Dexler in-world and on Twitter. 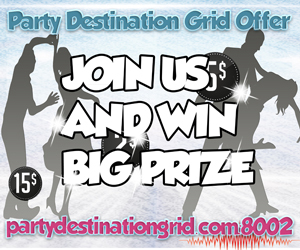 Littlefield Grid has put up fundraising posters for OSgrid in several locations, including the hypergrid train station on the Littlefield Hub region, at the main landing zone on the Littlefield Welcome region, and at the popular shopping destination the Littlefield Mall. 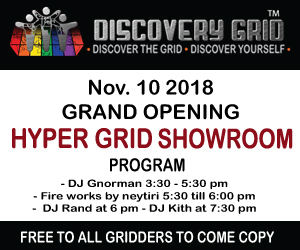 “Hope it works out and they get up and running soon,” grid owner Walter Balazic told Hypergrid Business. 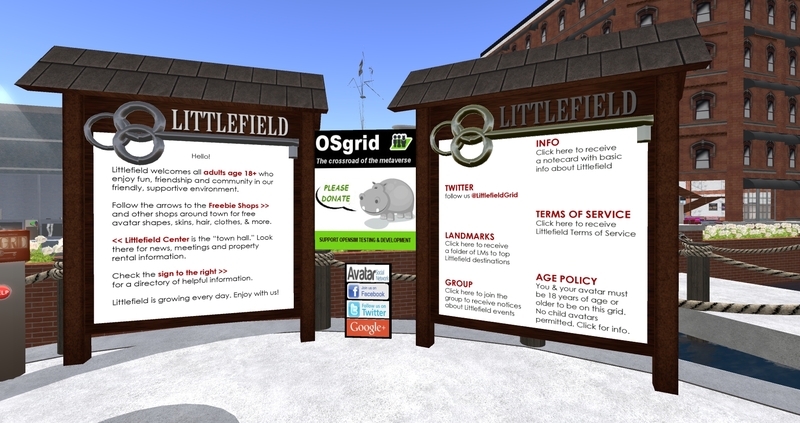 Littlefield originally started out as an enclave on OSgrid before they branched out and became their own virtual world. 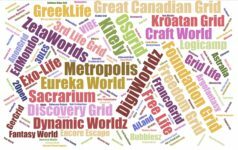 OSgrid isn’t just another grid. 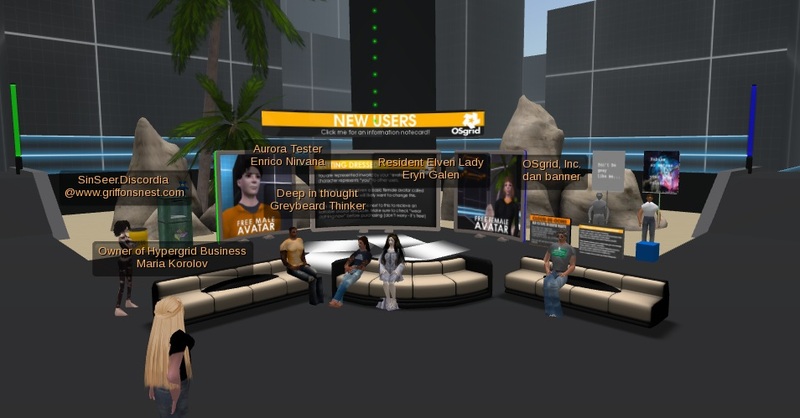 Due to its size, OSgrid is able to push OpenSim to its boundaries, and beyond. Lessons learned are then incorporate into core code, and benefit all grid owners. 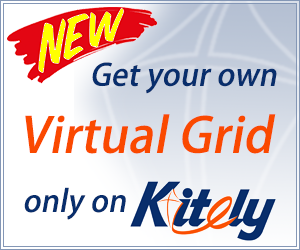 OSgrid is an open grid, allowing anyone to connect regions, both home-based and professional hosted. 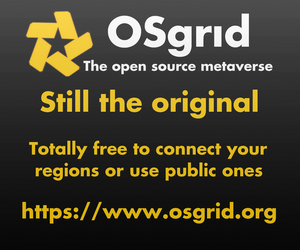 As a result, it has become an incubator not just for other grids, but also for OpenSim hosting companies, some of which have started out by offering regions on OSgrid and then expanded to offer complete hosting services. 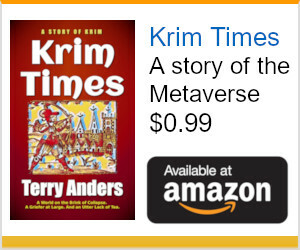 To this day, OSgrid regions are available from more vendors than those of any other grid, creating strong competition in prices and services. Its welcome region, LBSA Plaza, has become the unofficial crossroads of the hypergrid and many newcomers to OpenSim arrive on OSgrid first. 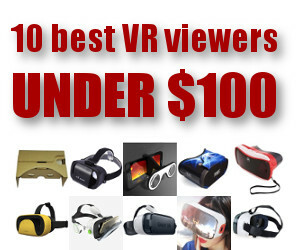 All this doesn’t come cheap. According to the current OSgrid spending breakdown, the hardware alone costs $753 a month to keep the grid running, or $9,036 a year. First, go to the donation page, and help get OSgrid back on its feet. Then, after you’ve done that, sign up for one of the regular monthly subscriptions, so that OSgrid can improve its regular operations.